GLTradePrint is a Web2Print solution that offers customers the ability to create their own business documents easily, quickly and affordably. GLTradePrint works with our in-trade partners on a wholesale pricing model. 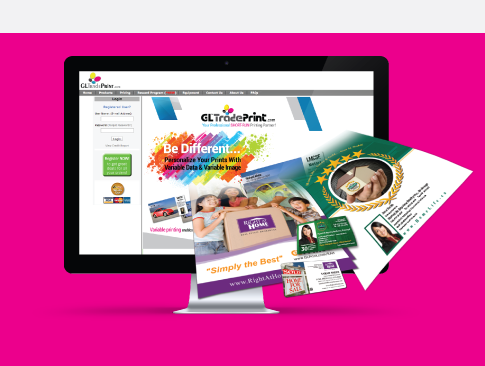 GLTradePrint’s innovative, easy to navigate, intuitive interface allows customers to choose from hundreds of professionally designed customizable templates, or upload their own artwork, images and pictures. GLTradePrint templates are completely browser based. This means that they can be edited and approved by the client and by our printing department without the assistance of graphic designers. The solution offers a multilayer approval mechanism for the ordering process, where each single order will be directed to the authorized person for final approval. The GLTradePrint facility is equipped with both digital press equipment as well as machines that can bind, coat, cut, trim and shrink wrap. The automated tracking system allows the monitoring of each and every project from start to finish. majority of GLTradePrint orders are designed, printed, processed and shipped (existing flat rate within North America) within 24 hours from date of order. Calling card and business card in one! Unlike other Web2Print solution providers, GLPrint services are backed by Group of Gold Line, the leading provider of prepaid long distance services in North America. 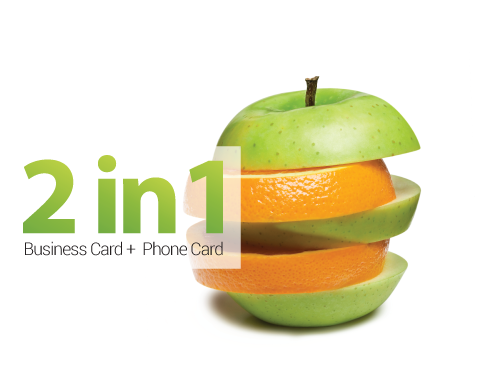 This gives us the advantage of being able to offer a unique 2-in-1 business card which includes prepaid long distance calling minutes. When a GL 2-in-1 business card is received by a client, the person is given an added reason to keep the card with them longer. We provide variable-data printing (VDP), also known as variable-information printing (VIP or VI). VDP is a form of digital printing, including on-demand printing, in which elements such as text, graphics and images may be changed from one printed piece to the next, without stopping or slowing down the printing process and using information from a database or external. For example, a set of personalized letters, each with the same basic layout, can be printed with a different name and address on each letter. Variable data printing can be used for direct marketing, customer relationship management, advertising, invoicing and applying addresses on self mailers, brochures or postcard campaigns.